At PERTEX Roofing & Construction, we understand needing emergency roof repair can be overwhelming, but don’t fret! You can count on us to quickly and effectively patch up your roof no matter the time of the day, stemming damage to prevent it from worsening and causing you bigger problems. With the primary goal of getting your roof back into the same (or even better!) 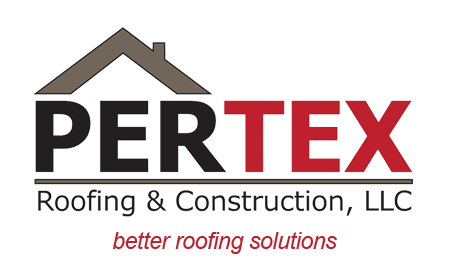 condition before it took damage, PERTEX Roofing & Construction employs knowledge, skills, and expertise honed over the years addressing the needs of homes and businesses in Texas. Dealing with hail damage? Think it’s strong winds that did your roof in? We know how severe the weather in the state can get and that puts us in the best position to address whatever damage may have been left in its wake. Need to file an insurance claim? Let PERTEX Roofing & Construction assist you! Aside from providing reliable restoration services, we can also guide you through your insurance claims and even handle the process for you, ensuring you are justly compensated for the roofing damage you are dealing with. Our experts at PERTEX Roofing & Construction have experience working with major residential and roofing systems, including asphalt shingles, wood shakes, tile, slate, metal roofing, single-ply roofing systems, built-up roofing, modified bitumen, and green roofs, so we have you covered. All repairs we do also come with 5-year limited warranties, signifying our commitment to quality. To learn more about PERTEX Roofing & Construction’s emergency roof repair in Plano, TX and the surrounding communities, just give us a call today at (214) 734-6270. To schedule a FREE inspection, you can also fill out our online contact form to get in touch with us and we’ll get back to you right away.